Boston, MA - Headwaters MB advised MIOX Corporation (“MIOX” or the “Company”), a provider of best-in-class, proprietary, on-site water disinfection chemical generation solution, on its sale to Johnson Matthey. MIOX designs and manufactures equipment based on its proprietary technology for on-site disinfectant generation primarily for water treatment applications. These applications are used for cooling tower water treatment, municipal drinking water treatment, municipal and industrial waste water treatment, food & beverage clean-in-place (CIP), and oil & gas applications including offshore (sulfate removal process), enhanced oil recovery, produced water treatment and frac water treatment among others. The Company has experienced nearly 50% growth annually for the last couple of years due to greater market penetration and proven superior performance of its on-site disinfection chemistry. In addition, MIOX’s portfolio of 40+ patents have uniquely positioned them to pursue additional disinfection applications in water and other cleaning and safety needs in industrial & commercial markets. This acquisition represents Johnson Matthey’s continued expansion into water technology. MIOX will become part of Johnson Matthey’s Water Technologies business within its New Businesses Division. “We were honored to work with MIOX’s management team and investors, which among others included DCM, Sierra Ventures and Flywheel Ventures, to find a successful exit to a strategic party through an expeditious process. 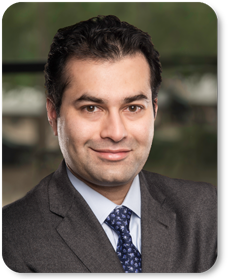 Johnson Matthey is uniquely positioned to fully exploit MIOX’s market potential, advance its core electrolytic cell technology and potentially commercialize other patented technologies” said Samrat Karnik, Managing Director at Headwaters MB. Capstone Headwaters acted as exclusive financial advisor to MIOX Corporation. Terms of the transaction were not disclosed. MIOX represents the third successful advisory assignment in the past two years for Headwaters’ industrial technology practice.